The Showjumping Teams had a great day at the TRI Equestrian School Showjumping League on Saturday. 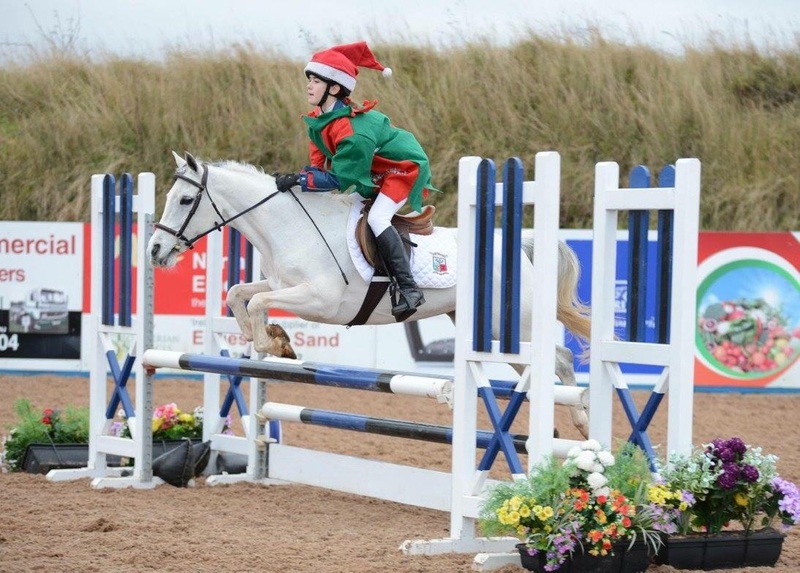 As it was the Christmas Show, The girls entered into the Christmas Spirit, with both teams dressing as elves and plaiting tinsel through the horses manes. It all looked very festive. The Blue team (Sophie Lister Tinsley, Gillian Grogan, Ella Herron and Lucy Toombs) continued its successful streak finishing with a zero score and very fast times for Gillian on Heaven Sent and Ella on Reilly. They finished in 4th position on the day and will move into the overall 2nd place in the league behind Assumption Grammar going into the final on January 14th. The Red team of Indie Bloomfield Faiers, Mollie Park and Ella Heron also deserve special mention as they too achieved a zero score. 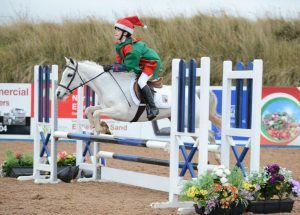 Special mention must go to Ella who was “Volunteered” to jump onto Indie’s beautiful horse Skye and become the 4th rider. Having never ridden her before, she had time for 1 practice jump and straight into the arena where she completed a fabulous round. This is an example horsemanship at its best and also of the trust between team members to let someone else ride your precious horse well done Ella and Indie!